South Africa’s construction industry is set to go green – and create new jobs – when new energy efficiency building regulations came into effect in November 2011, boosting a growing trend of cutting-edge green architecture in the country. From November, all new buildings will have to use solar water heaters, heat pumps or similar technologies, while ceilings, walls and windows will have to meet minimum requirements in insulation, to minimise heating in winter and cooling in summer. Buildings will also have to be fitted with energy-efficient heating, air conditioning and mechanical ventilation systems. The new regulations are defined in the South African Bureau of Standards‘ SANS 10400 XA standard, and enforceable in terms of the National Building Regulations and Building Standards Act. A higher standard, SANS 204, remains voluntary. The regulations will apply to all new energy-consuming structures in which people live or work, such as government social housing, schools, office buildings and hospitals. Local authorities will be responsible for the administration of the regulations and on-site inspections. “There are no exceptions,” said Reynolds. In addition to its environmental benefits, the building standards will also create new job opportunities. Speaking at a South African Bureau of Standards convention in Midrand, Trade and Industry Minister Rob Davies said they would boost the manufacturing sector and contribute towards the government’s goal of creating 5-million jobs by 2020. Davies also said the regulations will have a positive effect on South Africa’s economy as a whole: the installation services industry alone stands to benefit from government’s plan to produce and install 1-million solar water heaters by 2014/15. The solar water heating programme kicked off in 2010 and is managed by state utility Eskom through the SWH Rebate Programme. “If we achieve this, we expect to create around 18 000 jobs,” he said. The new regulations are likely to boost an already growing trend of energy-efficient building design and construction in South Africa. According to the Green Building Council of South Africa (GBCSA), an independent body, the country has seen a massive increase in the Green Star SA rating of buildings. Based on the Green Building Council of Australia’s Green Star rating system, it is the official green certification measure for buildings in South Africa, authorised by GBCSA. A year ago, South Africa had one building with a Green Star rating; this has grown to nine this year with three added just in September alone. The Aurecon Century City Office in Cape Town is the first development to receive a 5-Star rating for its office design, indicating “excellence” in South African standards. Another development gaining attention is Nedbank’s new regional head office at the Menlyn Maine precinct development in Pretoria, which GBCSA awarded a 4-star rating for green office design. This is the third Nedbank building to achieve a four-star rating, joining the Nedbank head office in Sandton, Johannesburg and the Nedbank Ridgeside office development in Umhlanga, Durban. A 4-Star rating indicates “best standards practices”. But the most important aspect of the entire Menlyn Maine project is its highest goal: to become climate positive. Once the full precinct – a mixed-use development of office blocks, shops, and living and entertainment spaces – is complete, it will work toward reducing on-site greenhouse gas emissions to zero. Menlyn Maine is set to becoming Africa’s first green city, one of only 17 worldwide that fall under the Climate Positive Program. The programme, a Clinton Climate Initiative, recognises that while increased urbanisation is inevitable, cities can still grow in “climate positive” ways. Some of Menlyn Maine’s green features include storm water tanks built into the structure and roof of buildings. The water will be treated and circulated for re-use inside as well as outside the building and is expected to provide non-potable water for almost a full year. Recycling is also an essential part of Menlyn Maine. Primary contractor for the development, construction giant WHBO, has recycled 21 968kg of crushed concrete, 17 000kg of steel and 2 740kg of wood on-site, which will be put back into buildings or used in the next phase of the precinct’s bulk earthworks. The GBCSA defines a green building as energy efficient, resource efficient and environmentally responsible. It incorporates design, construction and operational practices that significantly reduce or eliminate the negative impact of development on both the environment and occupants. The council provides the commercial property industry with an objective measurement for green buildings and recognises and rewards environmental leadership in the property industry. Scoring is done in nine categories: management, indoor environment quality, energy, transport, water, materials, land use and ecology, emissions and innovation. A building development can receive either a 4-star rating signalling that it has employed “best practice”; a 5-star rating which recognises “South African Excellence”, or the coveted 6-star rating indicating that the project is a world leader. The GBCSA is a non-profit organisation formed in 2007 by leaders from all sectors of the commercial property industry. It is a full member of the World Green Building Council and the official certification body of buildings under the Green Star SA rating system. 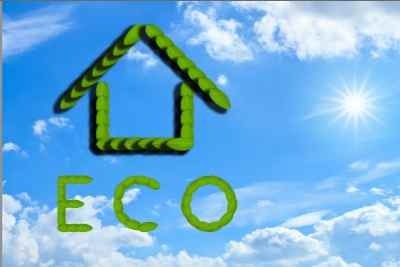 It is hosting the annual Green Building Convention and Exhibition from 26 to 28 October in Cape Town.